The Swiss are very kind to hitchhikers. I would not have expected it, but it was fairly easy to travel through this country, and back, by hitching a ride. I never had to stand anywhere for more than fifteen minutes before being offered a ride by some kind person (or people). 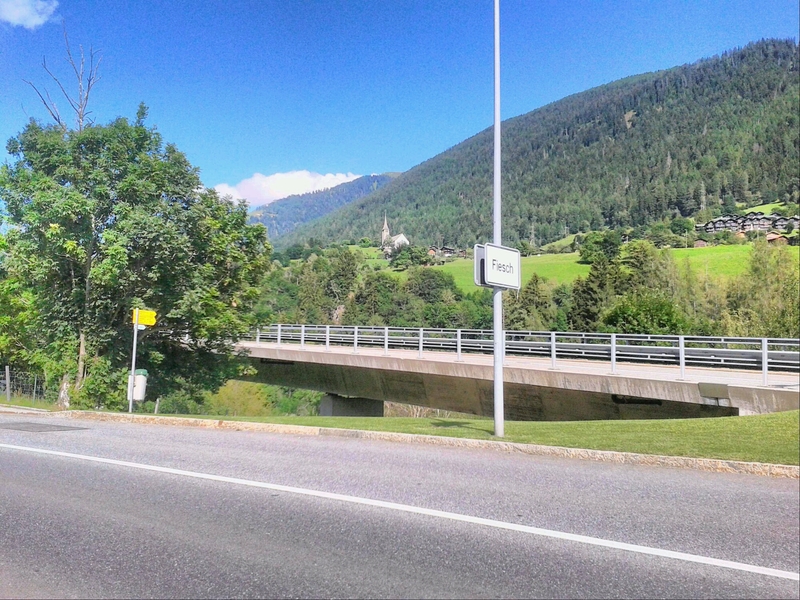 On Tuesday (yesterday) I picked up my trek again where I had left off last Friday, at the petrol station in Fiesch. 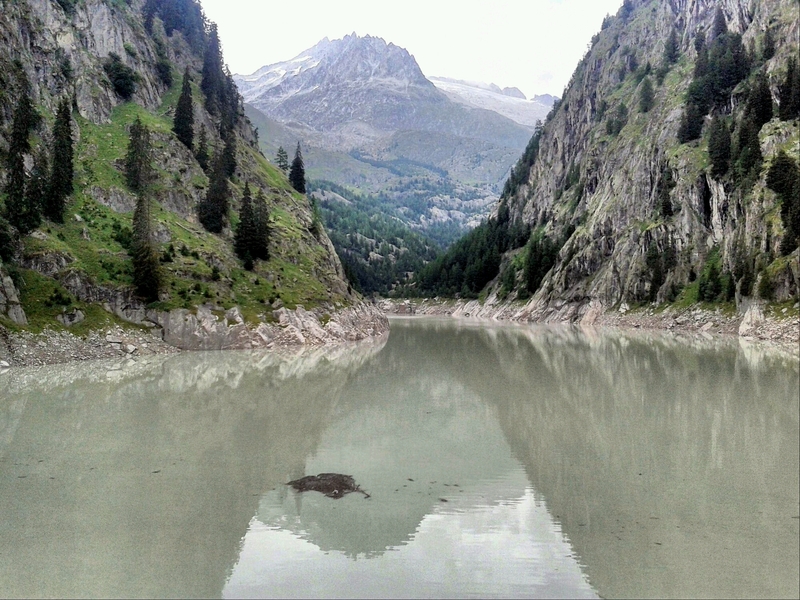 Day 45 took me up the Fieschertal, past the Fiescher Gletscher (grey, not white, because of the rubble it is carrying), up to a saddle called Märjela, between the Fieschertal and the Aletsch Glacier valley. Here, by a small lake, I set up my tent for what turned out to be a pretty cold night; when I woke up this morning, the moisture on my tent lining was frozen. But thanks to my down sleeping bag I wasn’t too cold (except the nose! ), and I have to say: the location was amazing. From my campsite at around 2400m, this morning I climbed up to the Eggishorn (2927m), to take in the panorama which the bad weather prevented me from seeing over the weekend. 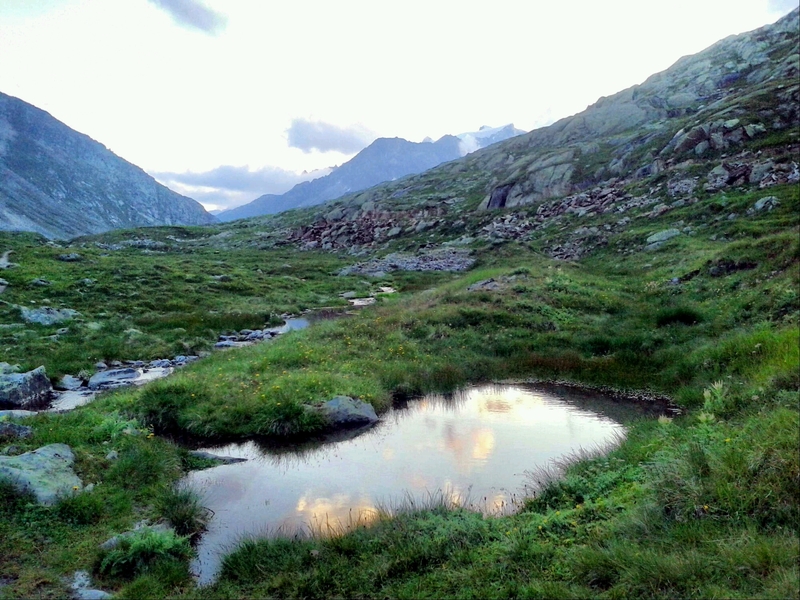 It was totally worth the wait (and the nearly 2000m ascent from Fiesch). 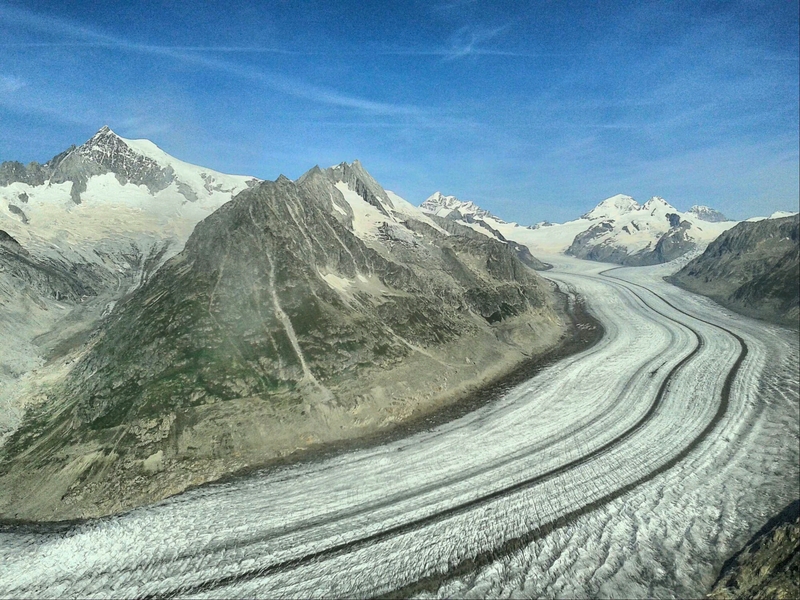 The Aletsch Glacier, the largest icefield in central Europe, together with the surrounding glaciers and mountains, is a UNESCO world heritage site. 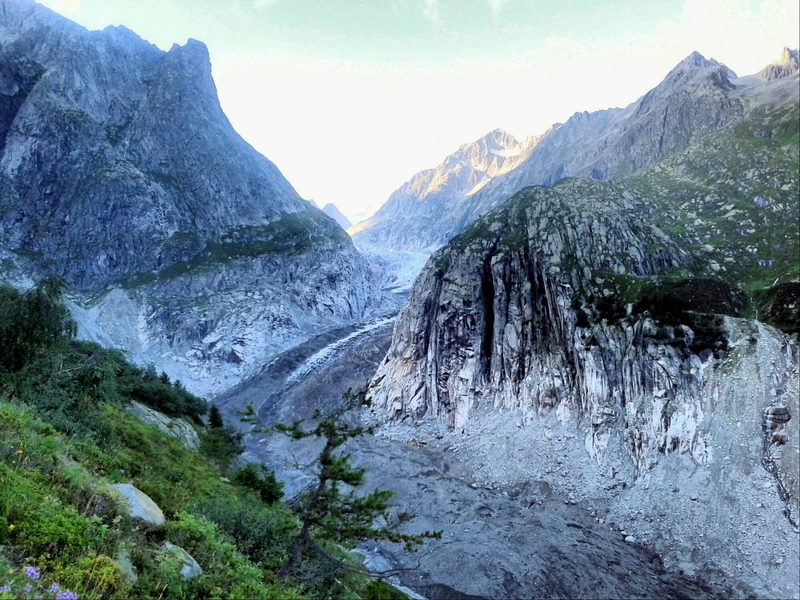 Sadly the glacier, like almost all others, is continually shrinking, and where it used to reach just a century ago is clearly visible as a line in the terrain. 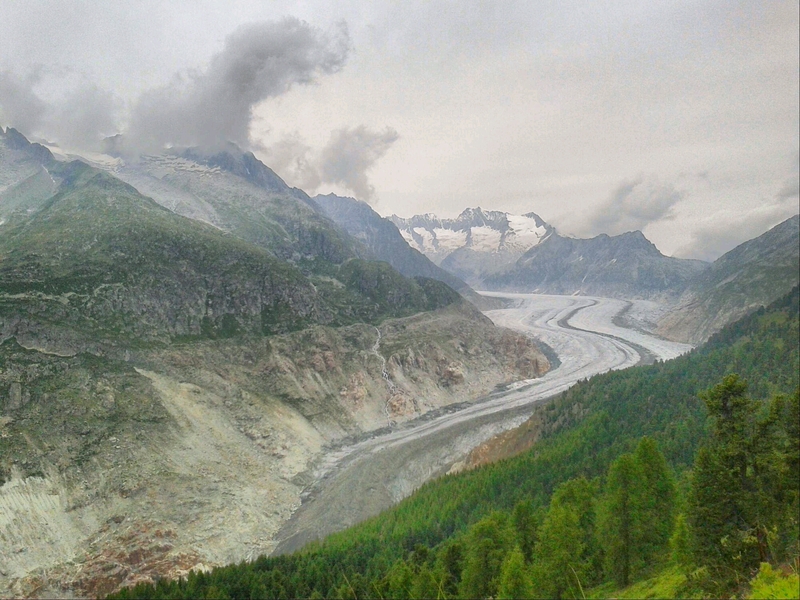 But the glacier is still impressively huge and magnificent; photographs can hardly capture the majesty of this place. I wonder what it will look like to my grandchildren one day. 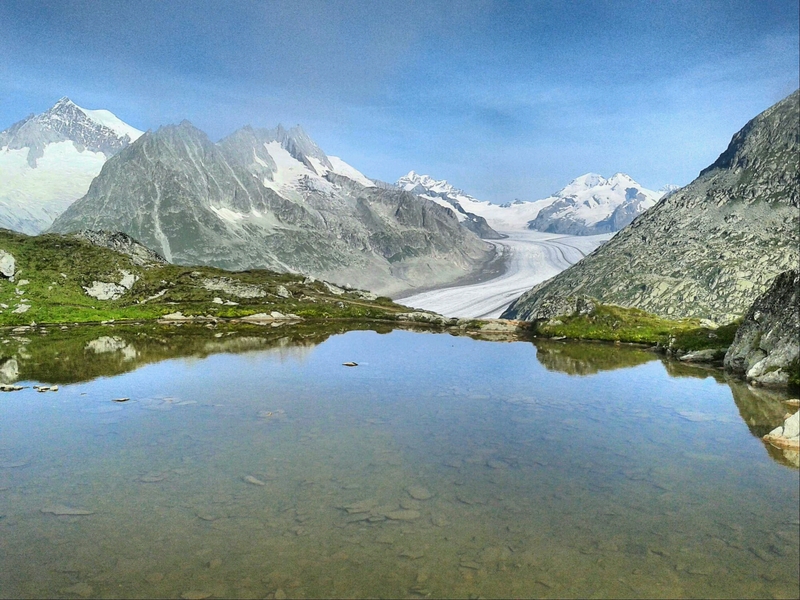 All afternoon as I followed the crest trail from the Eggishorn westwards my gaze always was drawn to the gigantic glacier and the over 4000 metre high peaks behind it. To the southwest, at times the Dom, Weisshorn, Matterhorn and even the Mont Blanc massif were visible at certain moments. 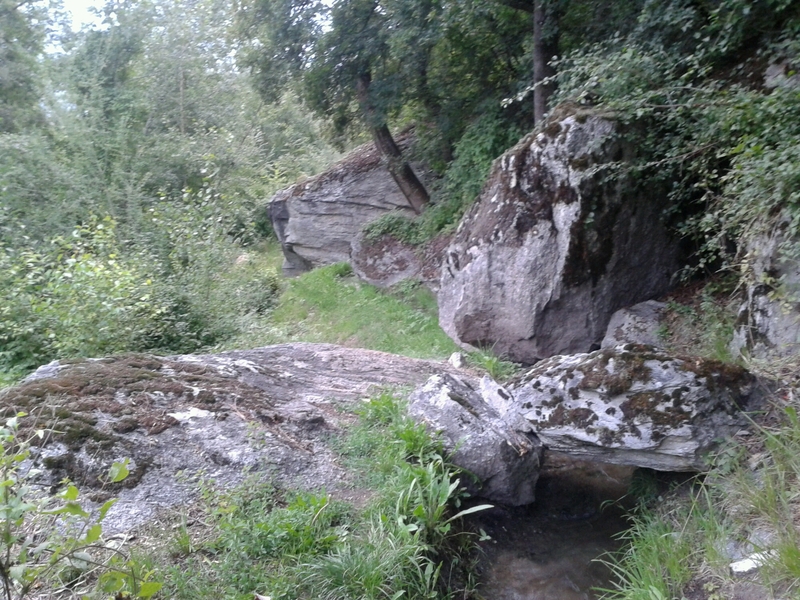 But this is a trek, not a slow sightseeing mission, and I had to move on instead of admiring the view all day. The most pressing reason once again is the weather. The weather forecast for the weekend looks bad (showers, thunderstorms), so if I still want to make any progress southward into Italy this week, instead of being stuck to the North of the main chain if the Alps, I must hurry towards Zermatt and get over the main chain, or otherwise probably have to sit out another day of rain or two. 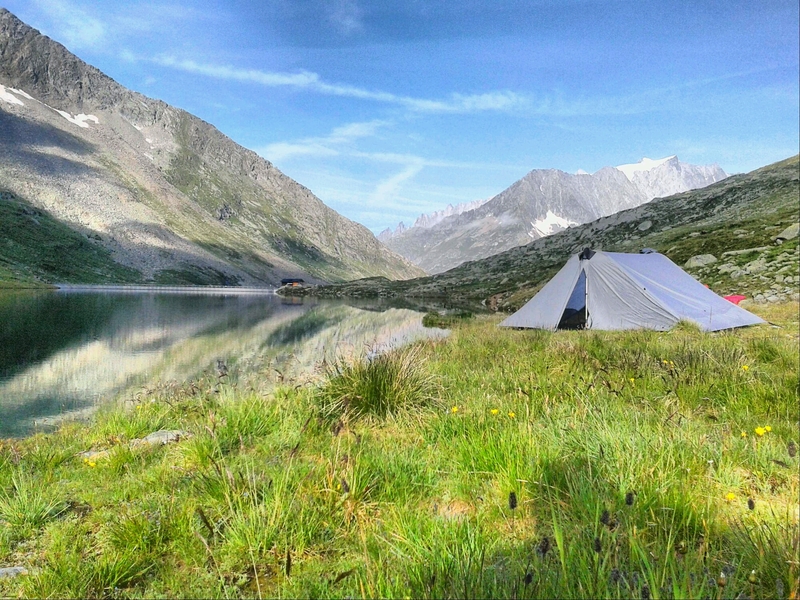 So in the afternoon I hurried along, crossed the river leading down from the Aletsch glacier, passed through the villages of Blatten, Birgisch and Mund, and have set up my tent above the village of Brigerbad. Over 2000m of descent on foot in one day.